2017 was definitely the year of the drone. I bought my first drone just before the start of the year, and I spent the better part of 2017 flying it. Taking that case with me everywhere though with the big drone in it was not very easy. In 2018 I bought a smaller drone that I could take with me more easily. With that came a little resurgence in my drone photography. Here are my eighteen favorite photos from last year. 18. We start the countdown with one of my favorite shoots of 2018. 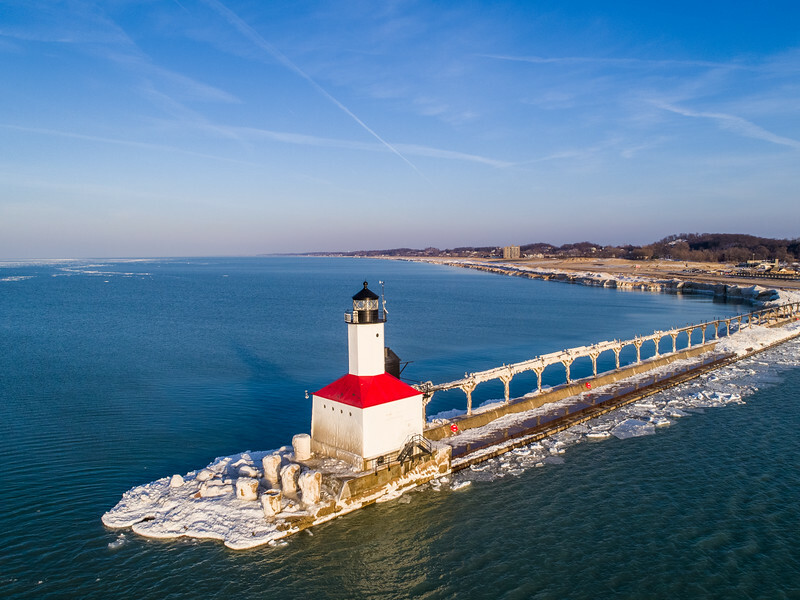 I spent a couple of hours at the Michigan City lighthouse flying drones with my brother. The light was good, and the ice was pretty cool too. 17. When taking the kids to the dentist I often pass this court. One day after a visit I took the drone up to make a photo of it. 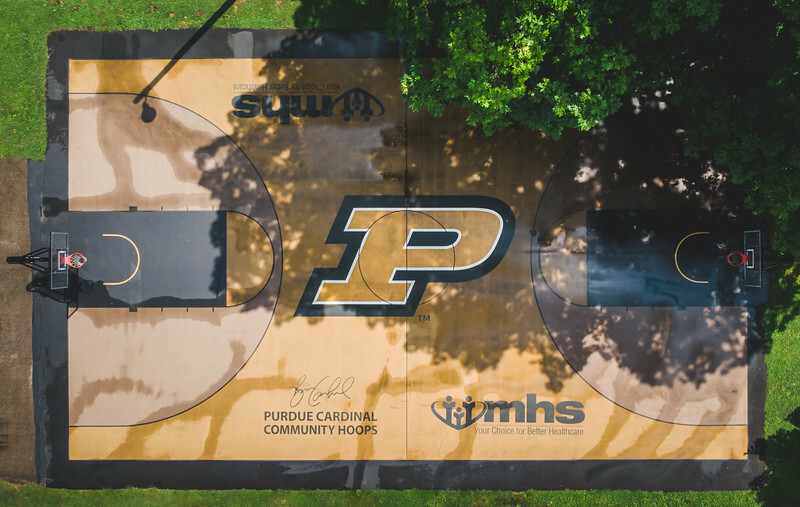 I love seeing the Purdue logo, and this one out in the community was pretty cool. There are a few of these around the state and I would like to get out and photograph them as well some day. 16. 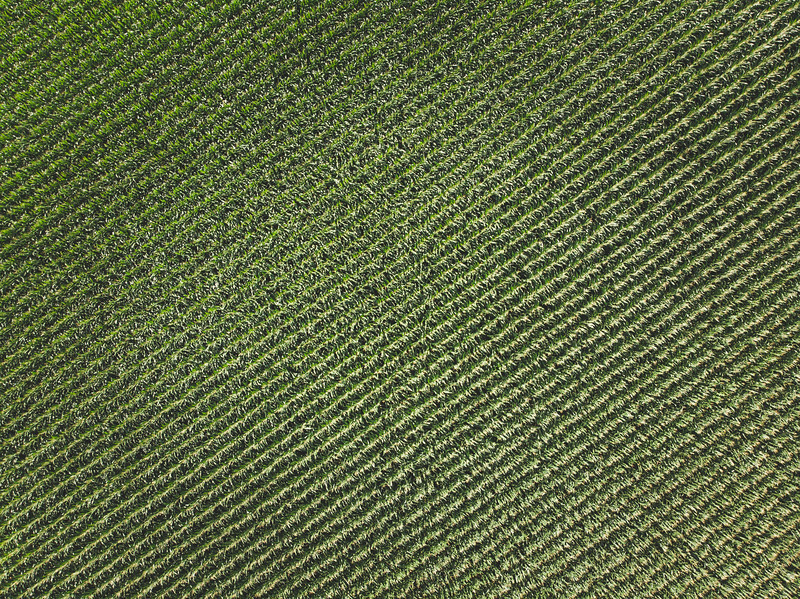 Sometimes it is just fun to fly over something and pick out a cool pattern. Of course corn has a distinct pattern so it is not too hard to find it. 15. One thing that I have always had fun making photos of is the ice on the Wabash. 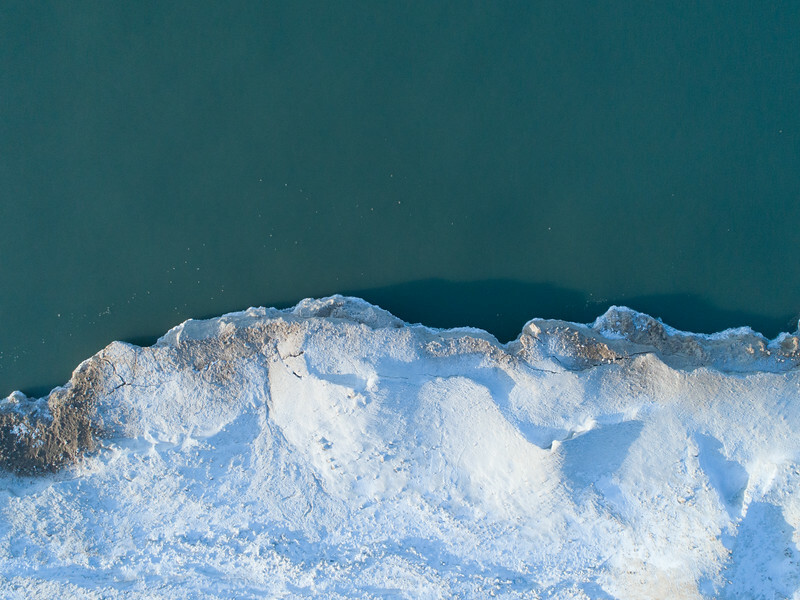 Sometimes I will fly over and try and find cool patterns, and other times I will just sit in one spot and wait for the ice to come into my viewfinder. No matter how you make the photo they still turn out pretty cool. 14. More ice on a body of water. 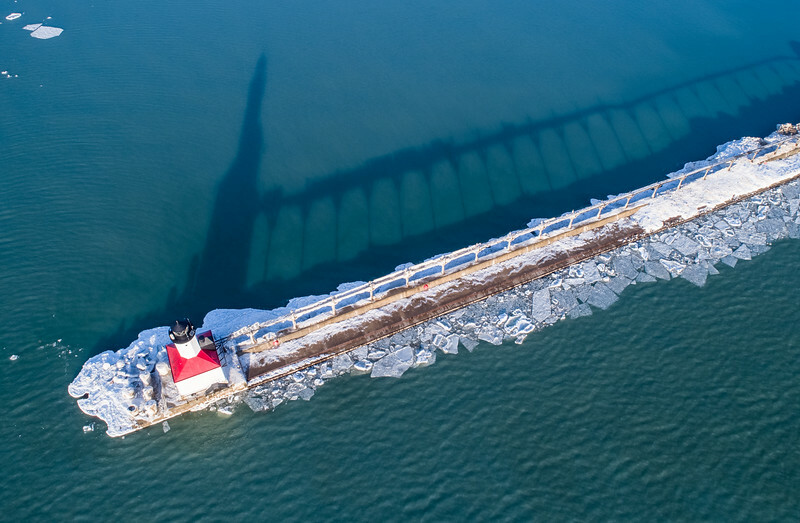 This photo was made of what was left of the ice shelf at the Michigan City lighthouse this past year. 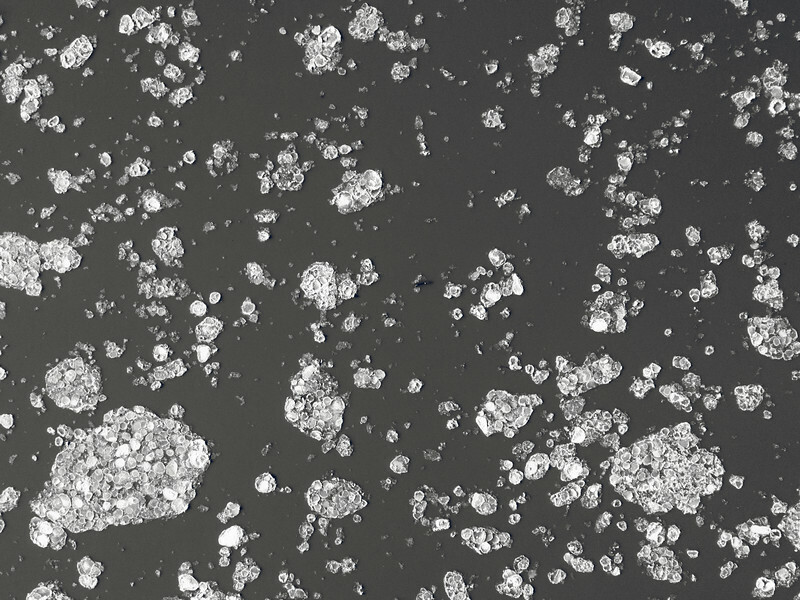 The overhead view really does not do justice to the height of the ice, but I liked this look as well. 13. This showed up on New Year’s Day during my stadium countdown. 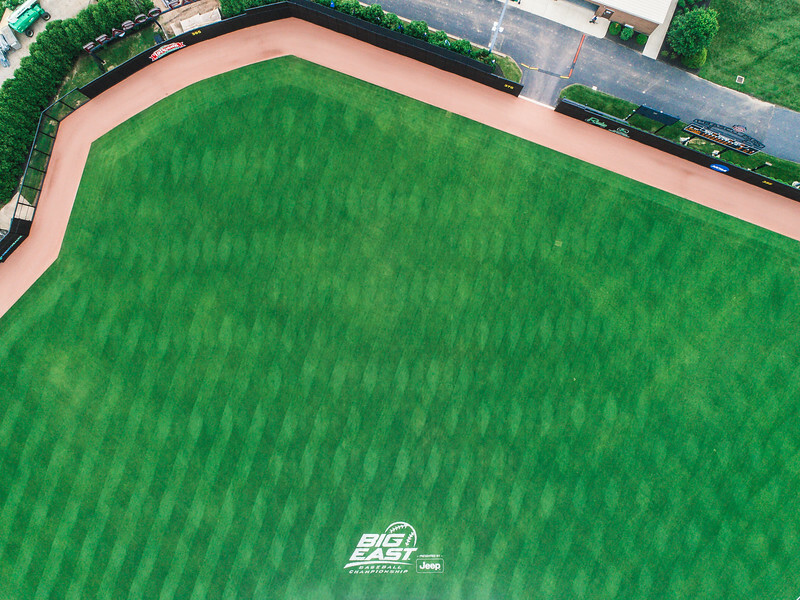 This year at Prasco Park I will have to find another way to show this stadium from the air. For now I have this photo of the outfield that I really like. 12. 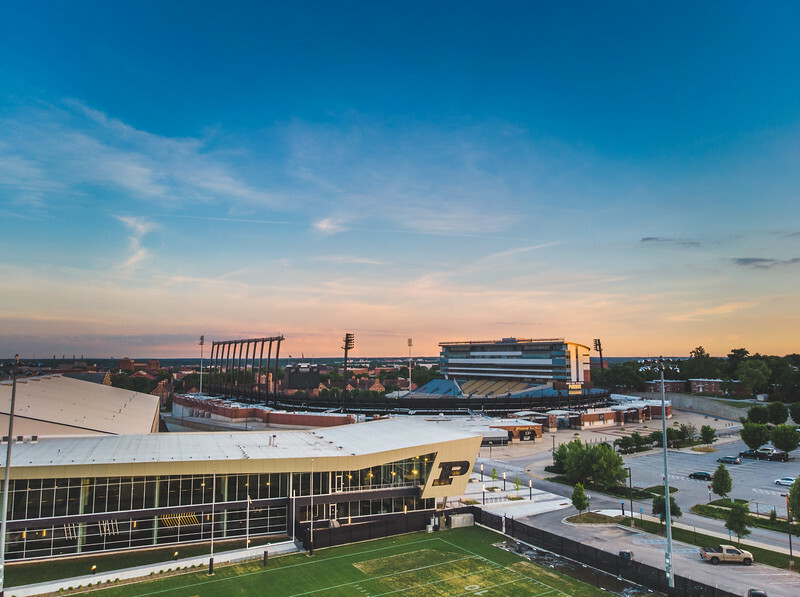 One of my first flights with my new Mavic Air drone was this one at the Purdue sports complex. I liked the way the buildings stacked up with each other here. The nice sunset also adds to the photo. 11. Ocean City is a cool place that looks good from any angle. I wanted to take the drone up to see how it looked from the air. I was not disappointed. This summer I need to try this on a day when the sunrise is a little better. 10. On the Fourth of July I was headed to the hill to make a firework photo over campus as the sun set. 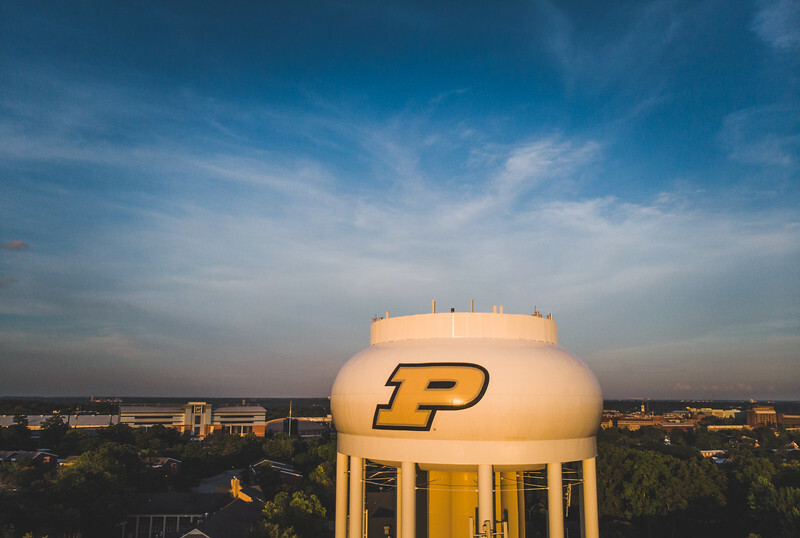 I realized that I had a pretty good opportunity to make a nice photo of the Purdue water tower in the good light. I went a little early to scout things out, and I am glad that I did. 9. 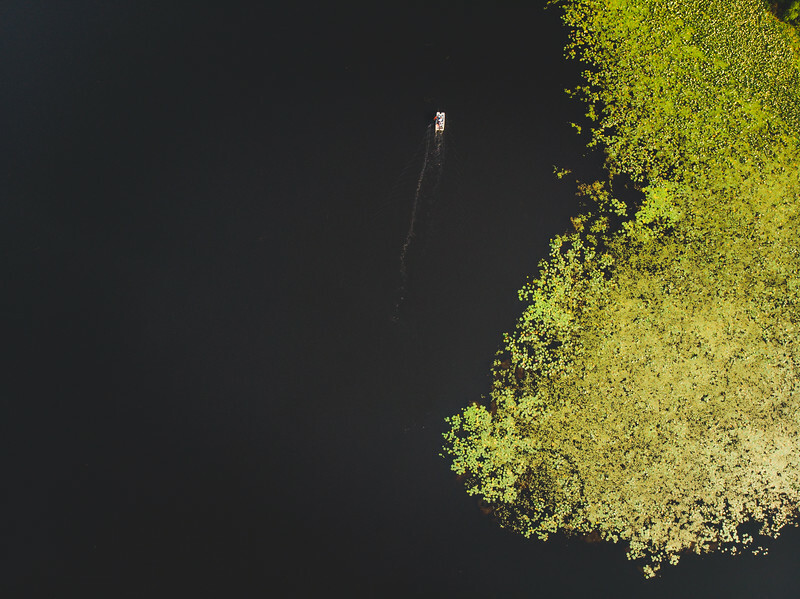 While visiting my parents at their lake house I made this overhead shot of a fisherman working the lily pads. It is a simple shot, but sometimes those are the most fun. 8. Here is another shot from around the Fourth of July. 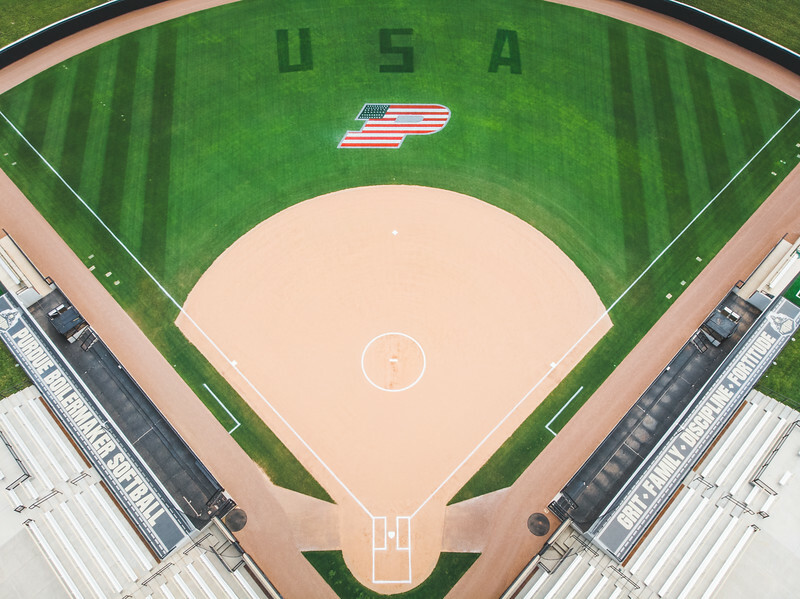 The groundskeepers at Bittinger Stadium made the field patriotic for the holiday. Their work won them a contest, and this was my photo of it. I love the way that they did this, and I hope that they do it again next year. 7. If you haven’t been able to tell already my shoot at the Michigan City lighthouse was a fun one. The light and the subject just seemed to come together here. I love this look from not quite overhead. The lighthouse and the shadow just play nice together. 6. This is a shot that I wanted to make for a couple of years. When I first got my drone I made some shots similar to this on rivers. The idea of catching the Atlantic Ocean as it meets land was a fun one for me. 5. 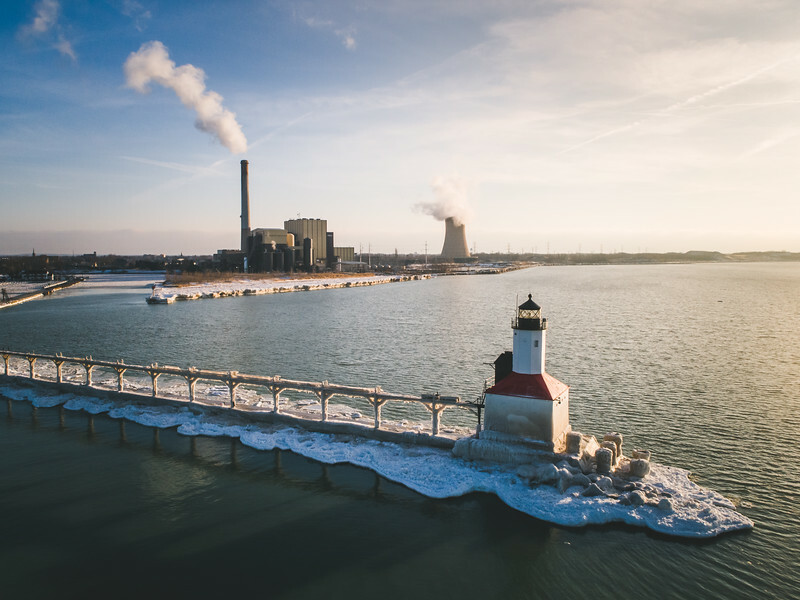 I promise that this is the last photo of the Michigan City lighthouse unit the next one. 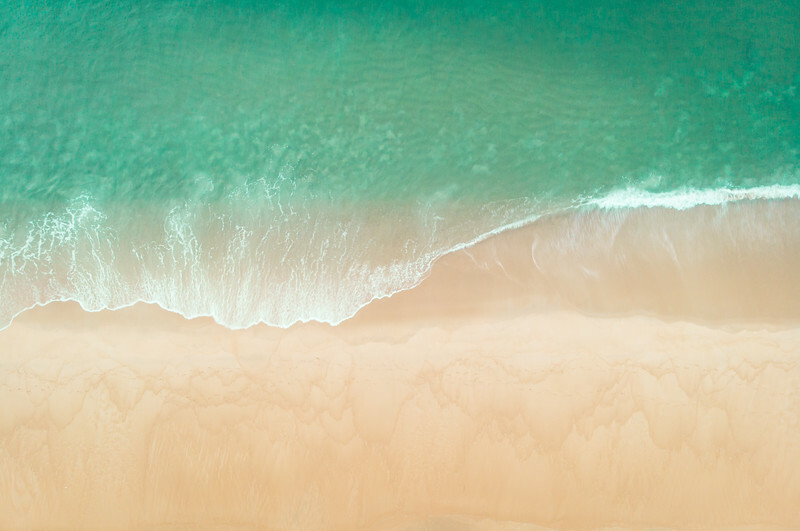 Part of the fun of flying with the drone is moving around and finding different compositions. This was the one that I originally had in mind, but I found another while flying that I liked much better. 4. 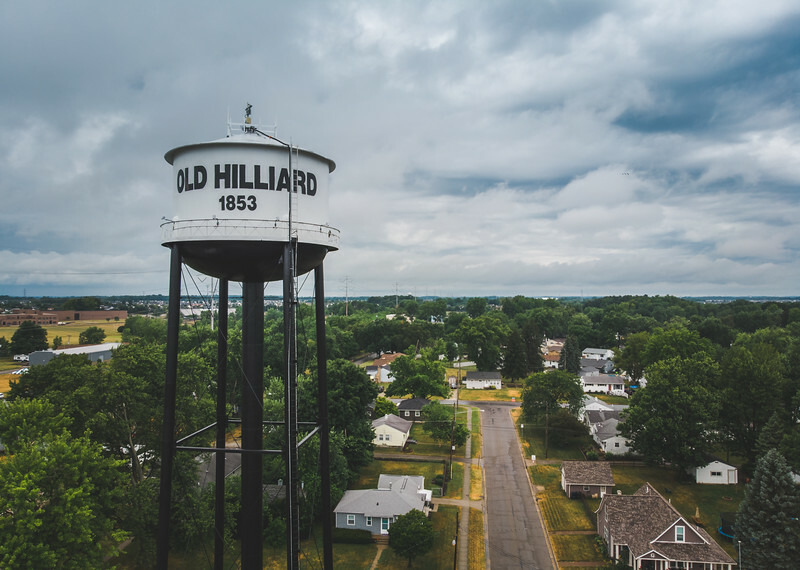 In July just before shooting a wedding outside of Columbus I made a quick stop in Hilliard, Ohio. This was the small town where my wife and I were married. We had just been married a little over five years so I stopped by to make a couple of photos of the town. With rain coming I had to hurry with the drone, but this was one of my favorites. 3. One magical night I decided to try the drone out. I knew of a ball game happening, and I hoped for good light. 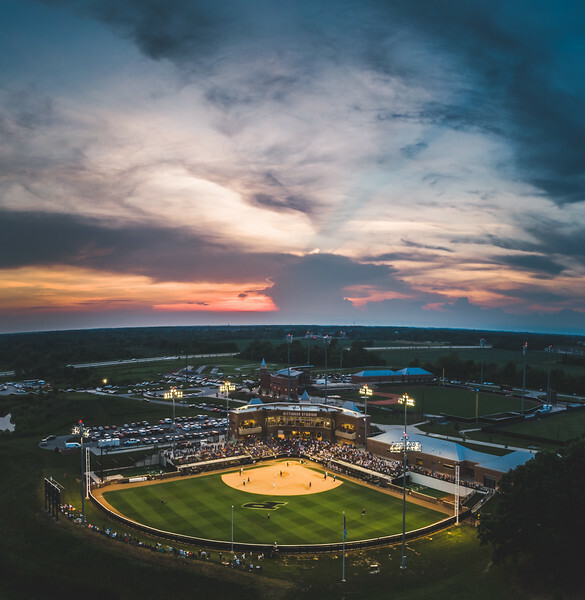 Bittinger Stadium has always been good for me to try out the drone. This might be my favorite photo there yet. 2. 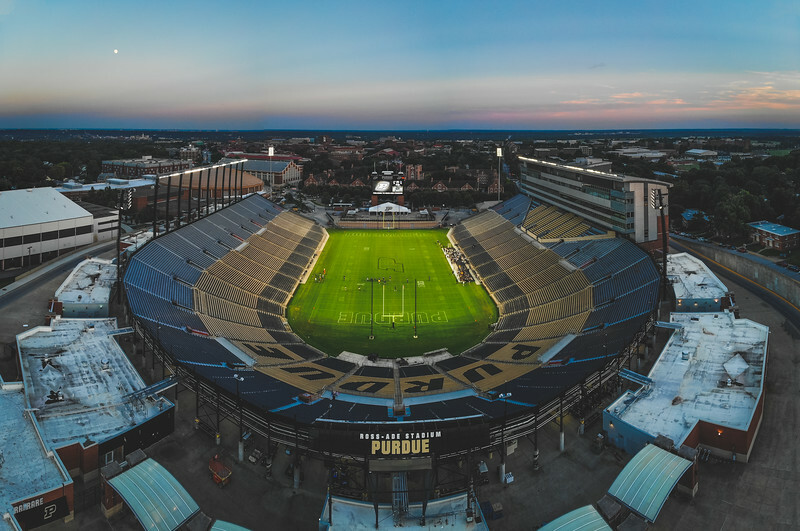 Speaking of Purdue stadiums I made this photo one week before the football season was to begin. I was excited to work with the Purdue creative team, and I had a hunch that the lights would be on. I was right about the lights, and the sky was working for me as well. 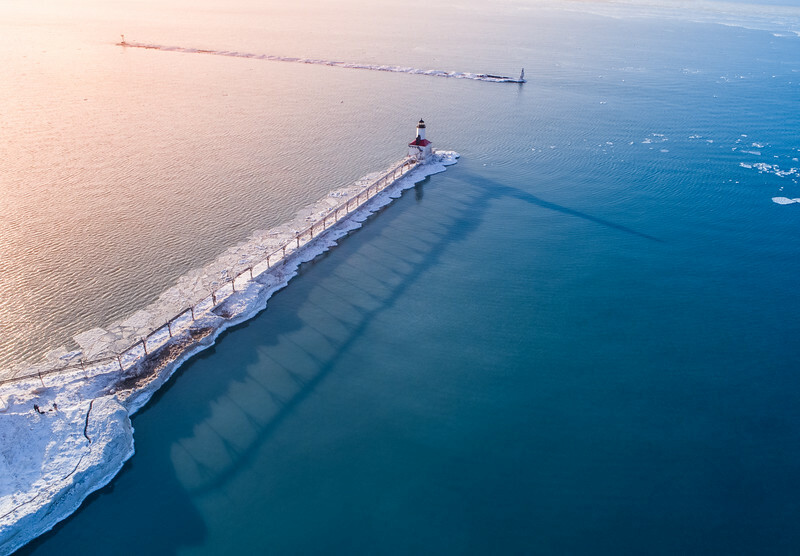 This was my favorite shots from the sunset flight at the Michigan City lighthouse. I have always loved lighthouses, but I don’t make them a subject often enough. This trip with my brother was one of my favorite shoots of the year. You can see both of us in the corner standing on a piece of ice on Lake Michigan. I need to make a trip up there again soon. And the winner is ………. Number 6. ! 🙂 Just to print and put on the wall. Fantastic colors.